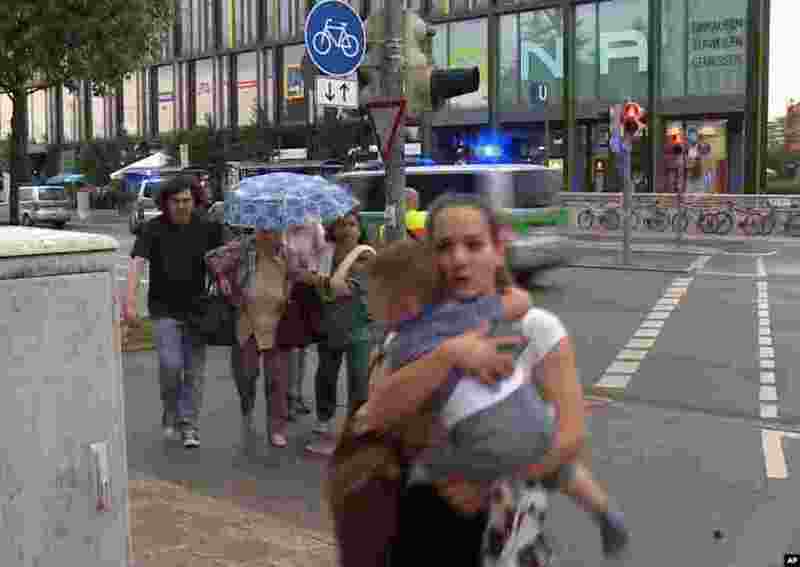 Multiple casualties are reported after German police confirmed that shots were fired at a large Munich shopping center and officers responded in large numbers Friday evening. 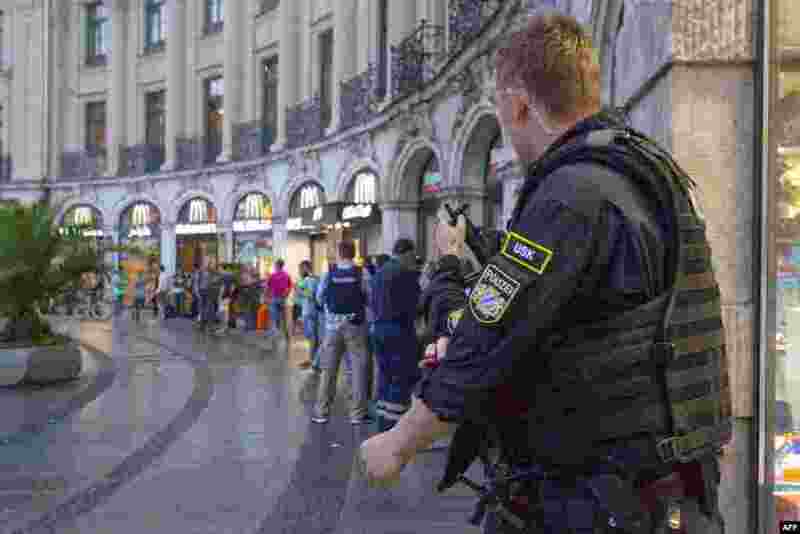 6 Police secures the area near Stachus square in Munich on July 22, 2016 following shooting rampage. 7 Members of the public run away from the Olympia Einkaufszentrum mall, after a shooting, in Munich, Germany, July 22, 2016. 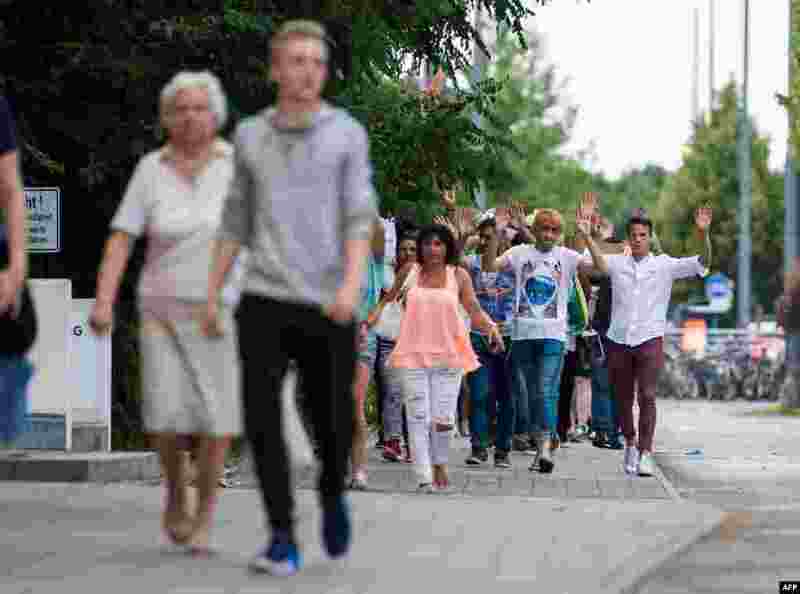 8 Evacuated people from the shopping mall walk with their hands up in Munich on July 22, 2016 following a shooting earlier. 9 People evacuated after shooting in a shopping mall walk with hands up on July 22, 2016 in Munich.